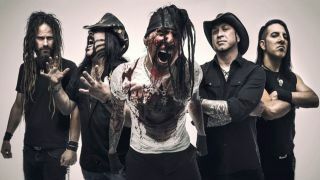 In November last year, Hellyeah announced they would release a new album in 2019. The band returned to the studio at the start of January and have begun putting the pieces in place for the follow-up to 2016’s Undeniable. Speaking shortly after Vinnie Paul’s death in June last year, bassist Kyle Sanders told SiriusXM that the drummer had finished recording his parts for the record – and some of that material can be heard in three new studio clips.